The picture of innocence. Not yet 5. Not yet speaking. Not understanding much of what others say or do. Happy, flapping, chest beating, walking up and down in lines in the pouring rain, red jumper wearing, up all night if you let him, lovable boy. Blisfully unaware of what others think of him. Or say about him. Because the world is cruel to him at times. Difference is not yet understood or accepted. I had a little glimpse of that last week watching Isaac running in and out of automatic doors at a museum. But that was tame behaviour. Compared to yesterday that is. Actually compared to a lot of days really. It’s hard to talk about the screaming, and the biting, and the fighting against you. The public tantrums and refusals, the head banging, the kicking and punching and the hair pulling. The ‘challenging behaviour’ that so often comes as part of the package with autism. The inability to sit at a table when you need him to, the embarrassment of touching things he shouldn’t, the high pitch scream that could empty an entire shopping centre. Believe me, I know these things are hard to see. They are hard for me to see too. But do you really have to add to my heartache, my embarrassment and my upset by saying something horrible? Like ‘children like that should not be taken out where others have to see them’? Do I really need to hear things like that? I could go on. But you don’t need to hear them. Neither do I. He is a real child. Someone’s child. My child. He is loved. He is treasured. He is stunning. He is different. But he isn’t less. Words are so powerful. Isaac may not know what people are saying but I do. You are breaking my heart when you say things like this. You are breaking his dad’s heart. And his sister’s heart. And you are breaking God’s heart. Ignore, challenge, accept or embrace? This trip was planned. The sat-nav was set, the kids in the car, the mobility buggy packed, and a toy train in my daughters hand. 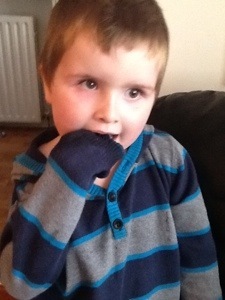 The long awaiting launch of a charity called Funny Lumps, supporting children with neurofibromatosis type 1, the tumour condition both dad and Isaac have. We were looking forward to it. A chance to meet other families coping with the same condition, the chance to hear information on the condition and a great opportunity for the children to explore the Riverside museum. I never saw one exhibit. 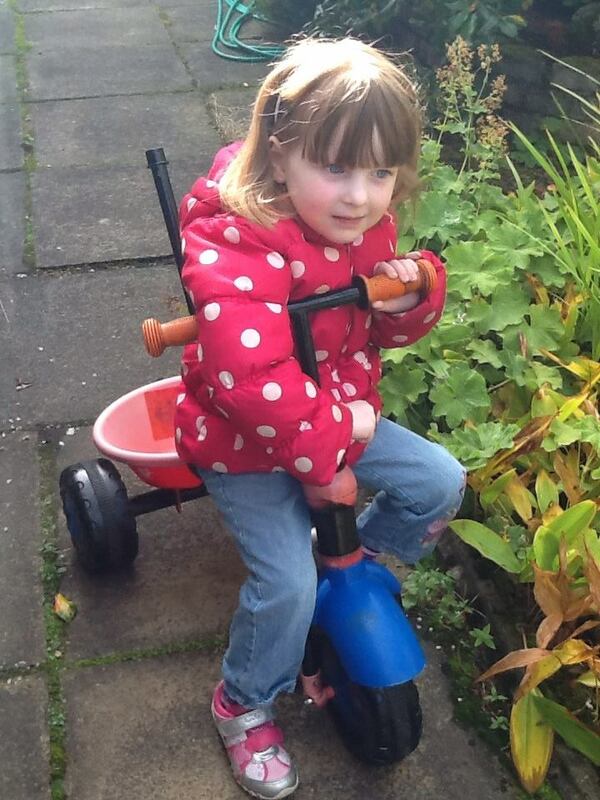 I never spoke to one other family with NF1, and we didn’t get any more information about the condition. What I did see though was a reflection on how the world sees my children. As I witnessed some ignoring them, others challenging them, some accepting them and a few precious strangers embracing them, it opened my eyes to the world outside my own. I’ve stood here almost 20 minutes now and you are just as excited and enthralled as you were the moment we arrived. Over 50 people must have passed you by now. One or two of whom have actually pushed you aside. An innocent, happy, excited child just engrossed in your own little world fascinated by the simple opening and closing of the doors others are just walking through and ignoring. Doors, two sets, one after the other. Automatically opening and closing as people enter and leave. A little piece of heaven to you. You notice the exact spot that triggers the mechanism to work, you notice the tiny red flashing light above, you feel the breeze and the drops of rain and the difference in temperature as both doors open at once. You love the passing from one terrain to an other, the transition from inside to out and the change in flooring. You get excited as you see that an approaching stranger is going to cause something to happen that you can predict. And even though you knew what would happen it still brings you delight. Again and again and again. Over and over, time without number. Oblivious to others reactions, oblivious to the cold, or any danger, or even where you are. I want to be like that. I want to embrace the wonder, the freedom, the awe of it all. I want to accept that this is what you love. Not the fascination of the old trains, buses, taxis and trams. Not the contents of an old campervan. Not the old noises of previous fire engines and police cars. But the opening and closing of automatic doors. A elderly couple passes by. They ignore you. Families rushing in and out of the pouring rain ignore you too. Coach loads of strangers ignore you. Tall men and short women ignore you. Why pay attention to a flapping, vocalising, strangers child? Why bother with someone clearly different? In life so many people will ignore us. But keep on going son. Keep on loving life. Don’t let the fact others are not paying attention affect how you are or what you do. It is better they ignore you than hurt you or laugh at you. Let them ignore you. Mummy isn’t ignoring you. God will never ignore you. As others carry on with their life you carry on with your love affair with your doors. And may we all get excited about something and find joy like you have. A family with a young baby challenges you. You are in the way of their pram. Your world momentarily clashed with theirs. The same with those teenage girls. You just happened to be in front of them. With a little encouragement and physical prompting the challenge was resolved. Sometimes lives collide. People clash. People can get in our way. But patience and encouragement go a long way. Not everyone likes what you do my precious. Everyone is different. In those challenges we all learn though. You had to pop out your bubble for a bit. They all had to be more aware too. A little inconvenience perhaps but life goes on. Think of all those people that haven’t challenged you though. Because the world really is full of love. And there will always be people on your side. Life has many challenges but may we all learn to grow and be better for them. Move on, keep flapping and keep laughing son. A mother smiles at me. That knowing smile from a weary stranger. The 15 or 16 year old with her is hooked under her arm, held close while he grunts. ‘Autism’, she whispers with love in her eyes. The look of a fellow special needs mum who has found herself in a similar place in the past. Acceptance that life isn’t always as you thought it would be. Acceptance of difference. Acceptance that life goes on and you make the best of it. She gives me hope that one day we might get further. We might get to show you those exhibitions after all, even if your arm is tucked in mine. I wouldn’t be standing here still if I didn’t accept your autism son. I’ve walked the embarrassment, the worry of what others think, the concerns for your safety, the feelings that this isn’t ‘normal’. Dad is walking around the museum worried about you. Concern and stress is eating at him. Because this isn’t how trips out ought to be. But it is what it is. And here we are. We accept you for who you are even when others don’t. Because God accepts you. Just like he accepts me. You did more than appreciate them son. You embraced them. You are priceless son. And we need to embrace that. Some might ignore,some might challenge, some might accept, but the more people embrace you in life the better all our lives will be. Maybe we should all try having fun with some automatic doors! And maybe we need to embrace those who are different more too. Because everyone who passed through those doors that day is special. And everyone is different. Wether we ignore it, challenge it, accept it or embrace it is up to us. In the irony of the fact we never quite got to be part of a charity launch set to support you and others with nf1, you taught me more than any speaker could. One of the many ironies about having children with autism is the fact I have so many big things to worry about as a parent but they are way more concerned with the details of the little things! They worry about the feel of things, how the straight lines look from every angle imaginable, how the wheels spin, how things look lined up, how a certain part of the dvd sounds, what a certain piece of food tastes like or how some bubbles stay as bubbles when they land on water. While I worry about will they ever get out of nappies, will Isaac ever learn to speak, will we ever get rid of the dummies and the baby bottles, will they ever have friends? There are so many ‘big’ things I could dwell on right now. Concerns about the fact the twins are almost 5 and neither is out of nappies, concerns about where my daughter will go to school next year, concerns about whether my son will ever talk. While so many parents around the world are beginning to think of Christmas and Halloween and fireworks or Thanksgiving, my focus is still on getting through another day. I could easily become overwhelmed by thoughts of how I get my son to stop eating his clothes when all 9 of his school jumpers now have cuffs that look like the jumper has been mauled by a wild animal. I could be overwhelmed with thoughts of how I get my children to ever have friends, or simply initiate contact with another child. Or how I prevent my son from wandering off every time we are out, or screaming when traffic lights are on stop, or biting himself. It could all just become too much so easily. So I’m focussing on the little things. Just exactly like my children do! I’m allowing them to teach me the joys of simply taking a day at a time and enjoying life. 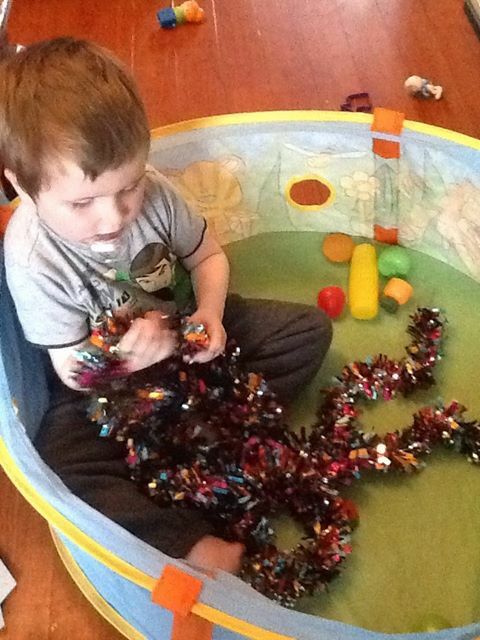 My son’s only thoughts of Christmas so far is the joy of sitting in a ball pool feeling tinsel. He is delightfully happy. 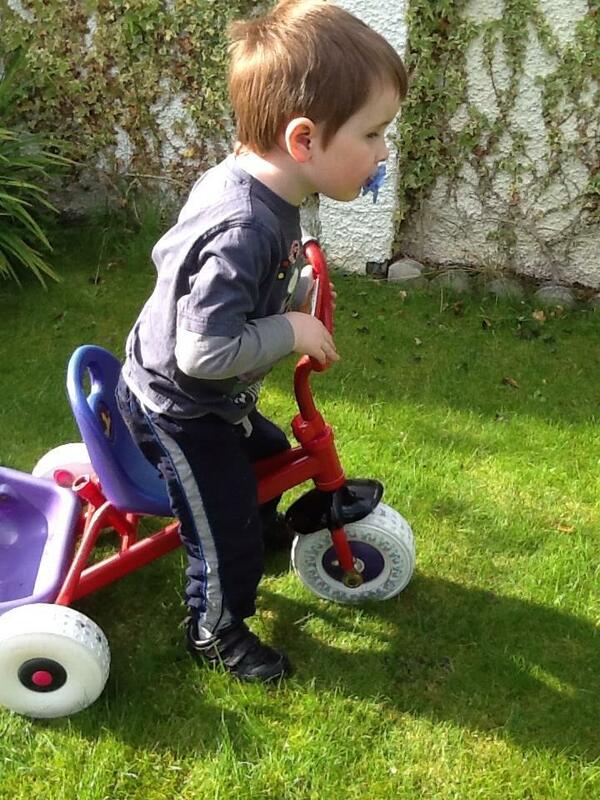 He isn’t worrying about not being able to speak, or still being in nappies at almost 5. He has no concept of the fact the school he attends is for children with severe learning difficulties. All he knows is the jumpers taste great! And they feed him lunch and he gets to go swimming and play outside and someone is there to help him when he falls over. Life for him is simple. But that simplicity gives me hope. Because in all his struggles, in all his delay and in all the complexity of his needs he is showing incredible progress. Which when I focussed on the ‘big’ things I hadn’t really noticed how the little things were really improving. Like the day he came home from school and saw his sister playing with her train set. 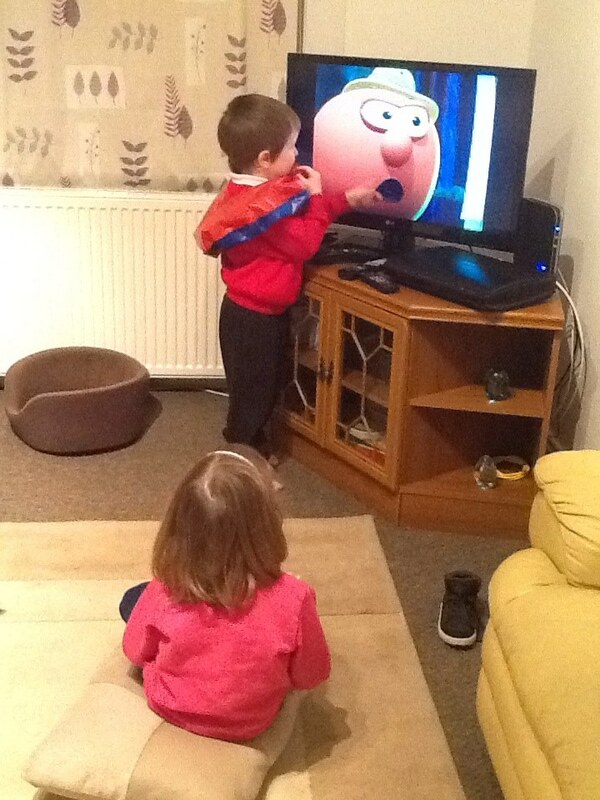 That was no little thing to his twin sister! 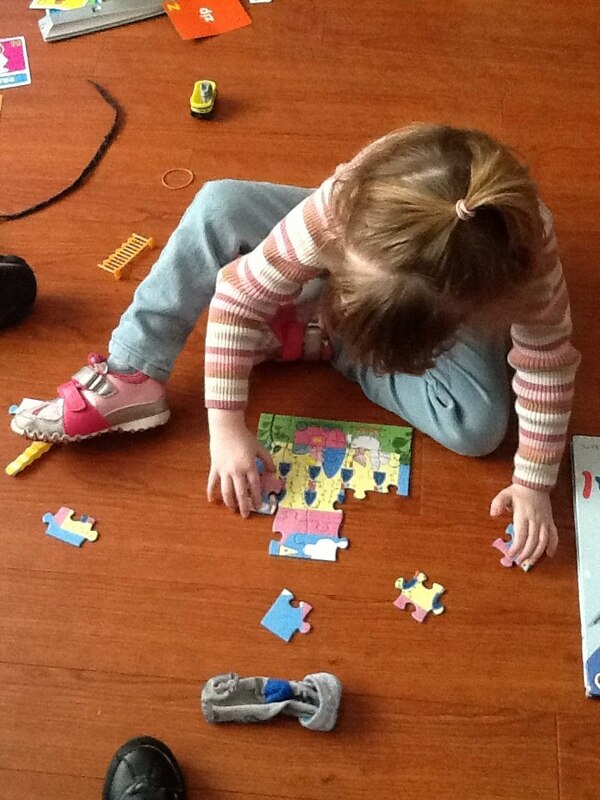 It doesn’t matter that both my twins have autism in moments like this. Autism might explain why one likes everything ‘just so’ and set up so lovely and the other likes the sensory play of knocking the track pieces together. 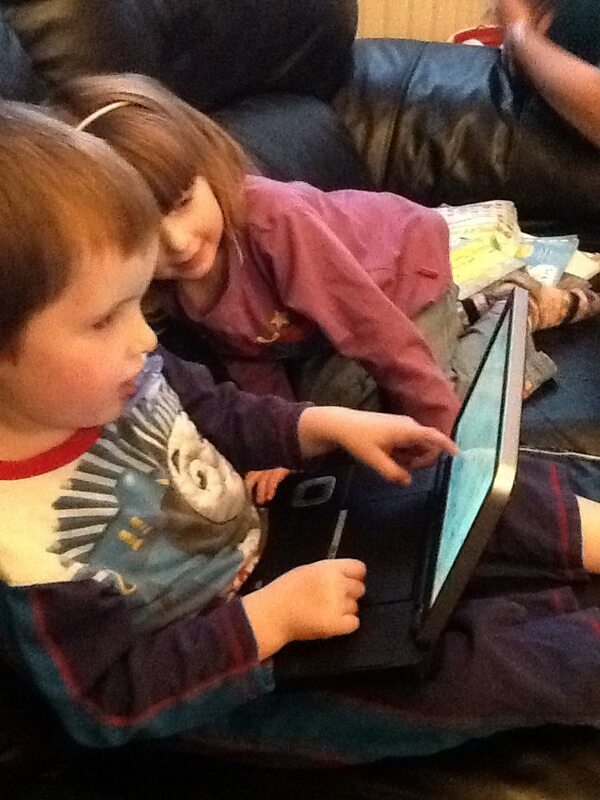 But even without autism, these are two children who will not always agree or want to play games the same way. And any parent with more than one child will know the difficulties in balancing both children’s needs at times. I could easily have felt despair at this, fearing my daughter will never get to trust another child playing beside her, fearing my son will never learn to not destroy and take everything apart, fearing my children will never know the joys of playing together. Those ‘big’ worries overtaking me once again. All I could do was distract one child and hope for the best. Another day. Another compromise. Another prayer said. 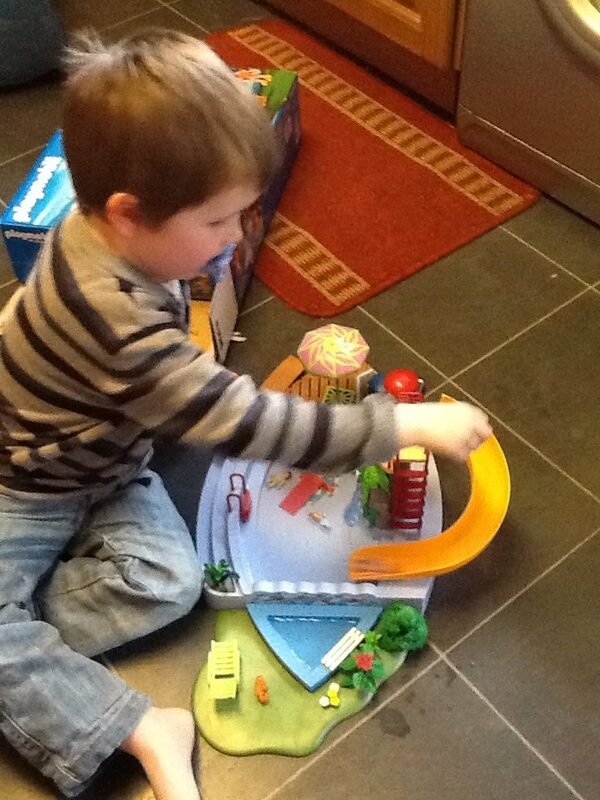 But then the following day when he came home from school and once again the beloved train set was set up.. 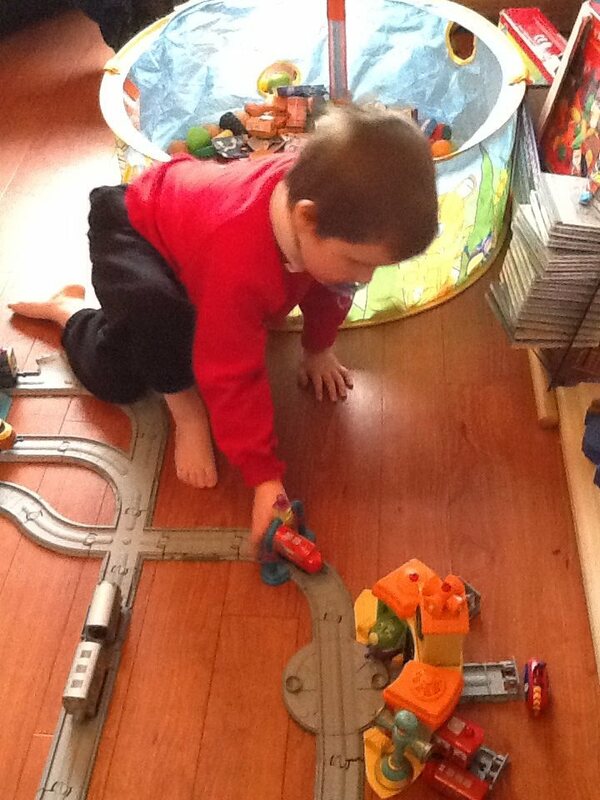 He climbed off the sofa, he knelt on the floor…and he pushed a train on the track for the first time ever!!! And that’s when a little thing really does become a BIG thing! After 5 long years of solitary sensory play, just enjoying the feel and touch of things and seeing how they look scanned across his eye line. 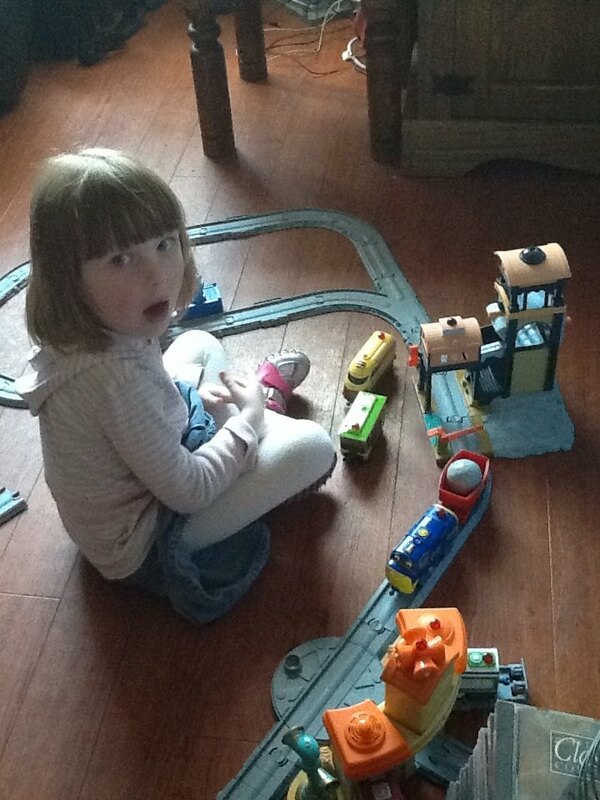 After over a year of watching his sister playing with the same train set, he finally worked out how to play with it appropriately! I could have been so focused on cooking a meal, or cleaning up, or endless other tasks us mums seem to have to do on a daily basis. But I decided to focus on the little things and caught a beautiful moment in time. A few weeks ago it was questionable whether Isaac was even able to see the pieces in a toy so delicate and small. But he has once again proved us so wrong. He even knew the difference between a plastic tree and a plastic person! This is getting dated and framed and treasured. Aged 4 years, 11 months and 6 days, my beautiful and ever so clever daughter wrote her name for the first time! A little piece of writing. But a massive milestone. When I worry about their other milestones, when I have serious concerns about what the future holds for them, when I get stressed about whether I can be all they need me to be to help them be the best they can be, when the big things become all too consuming, I am going to look at the little details just like my children do. 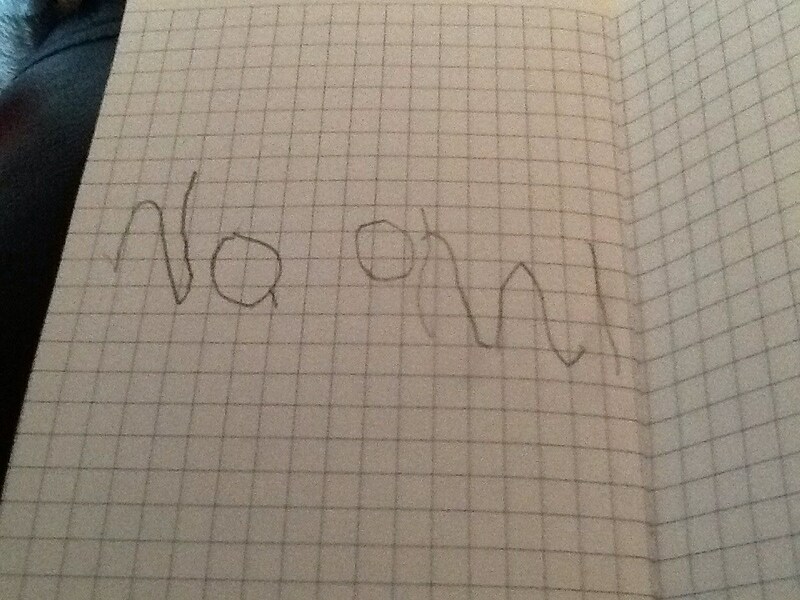 I am going to hold this first piece of writing by my daughter, treasure the photo of my son pushing a little train on a track for the first time, dwell on the little noises my son makes daily that one day may turn to words. And enjoy life just like they do. And leave the rest of the big things to God. There is something to be said about focussing on the little things and letting God take care of the big things. And not worrying. Remind me of that one when we are in the midst of toilet training later this week or stressing over what school Naomi should go to next year please! 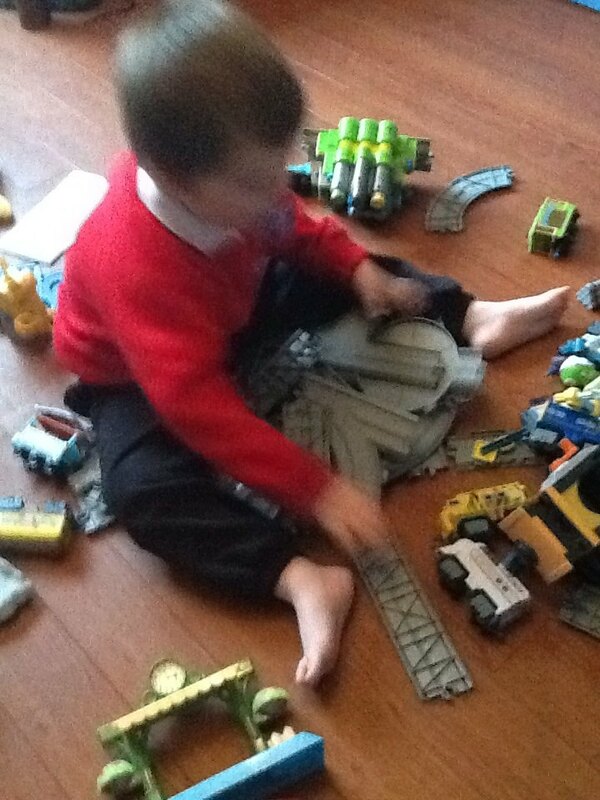 What is there to worry about when you have trains to play with eh! Words can’t adequately describe how much I love you. From the very moment I first saw you you have had my heart. Watching you grow and learn and looking into your beautiful blue eyes every day brings me more joy than you will ever know. You are amazing. Whatever else you read in this letter always remember that. You are amazing my child. You are special. And you are very loved. And mum is so so proud of you. As I write this you are not quite aged 5. You are innocent, living in the moment, and getting thrills from swinging on a swing in the park, playing hide and seek behind trees and still sitting on my knee for tickles. We can still sing nursery rhymes together and laugh at silly cartoons and snuggle up under a blanket together. You are still leaving room in your bed for me and wanting me to read you stories. You tell me about numbers and trains and Topsy and Tim. I love the sound of your voice. And you don’t know yet that you have autism. You are not aware that you are different yet. We talk about autism because you know your brother has it. And you are aware how different he is to you and other children. You know he can’t speak, or read books like you, or play games the same way as you. You know he cries alot and is rough with you. But I watch you with him and I am so proud of you my darling. The way you move his cup of juice for him so he doesn’t spill it. The way you sacrifically give him the book you are reading because you know he wants it and struggles to wait. The way you help mum wash his hair and reasure him that it won’t hurt. How you will go to his room and find his favourite toy and bring it down to help settle him. How you have recently started to tell him all the things he is pointing at. I am so proud of you. And I pray this kindness and love and compassion you have for Isaac will continue to grow in your life and overflow to others. Your heart is tender. May God keep it that way and protect you and show you the love you show others. But do you know you have autism too? I tried to explain it to you yesterday but it made me cry. I am sorry I cried, beautiful. I never meant to upset you and it isn’t something I should really cry about. It is raw for mummy just now because it was only confirmed 3 days ago. And mummy’s heart is still tender. 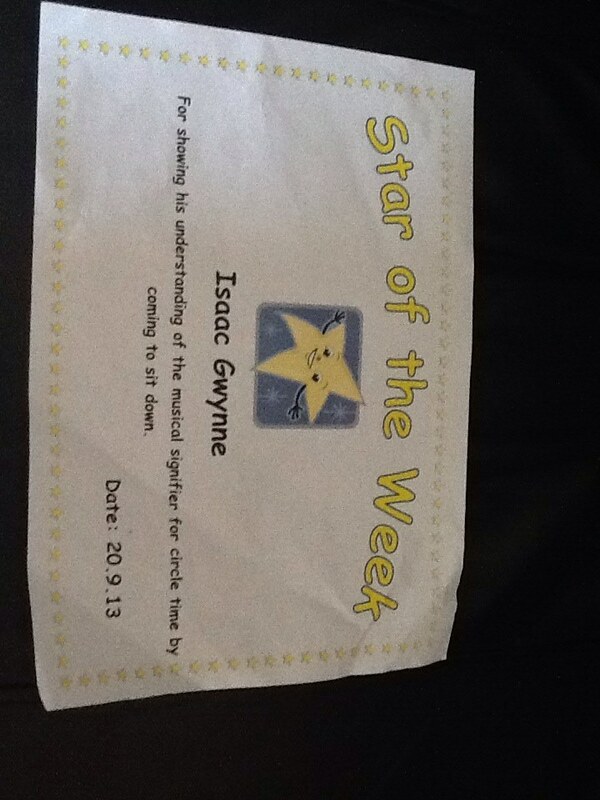 Mummy has walked this road already with Isaac and she sees how autism is affecting him, and you and daddy. But mummy loves you more than words can say. You make my heart jump for joy. You bring me delight. You are mummy’s special friend and helper and autism won’t change that. But as you get older you need to know. Because the world won’t always be kind to you and your brother. And you won’t always be so innocent and care free. It is in your best interest that we keep talking about autism and what it means for YOU. As you have a right to know. You have a lifelong condition and it is my responsibilty to help you understand that. As your development and heart is ready we will talk more and more. I pray God gives me the right words to say to you as you grow and question more. Especially as your memory is incredible and you take everything literally. But, my darling, these are admirable qualities to be proud of, and part of your autism. Please don’t be embarrassed to tell people you have autism. You know mummy tells people all the time about your brother. 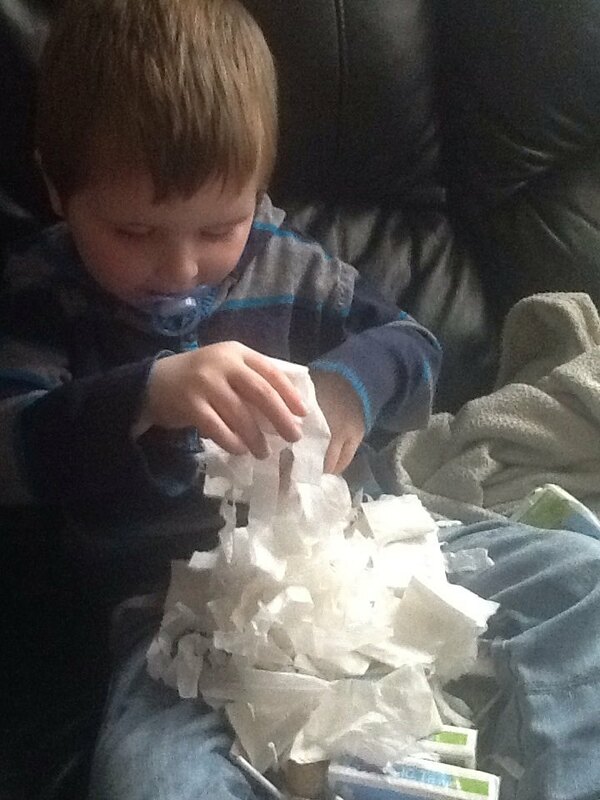 And you told mummy one day recently to stop being upset at Isaac because he has autism and doesn’t understand. 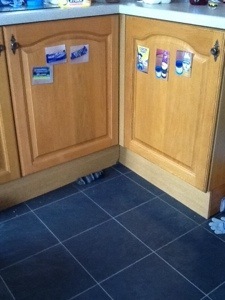 Mummy isn’t embarrassed you have autism. You NEVER embarrass me. I am ever so proud you are my daughter. Autism is not something to be ashamed of honey. At the moment you are really struggling socially. But you don’t know and it isn’t bothering you. You love your own company. And that has some great advantages. As you go to school I can see you really excelling academically because you will be happy to sit and work on your own and complete the tasks set. And as you grow and become an adult having the ability to work well on your own will open so many jobs oportunities for you. So never feel you HAVE to socialise if you don’t want to. But as your mum I will be working on making friends and how we can do this together. Because I don’t want you being lonely. One day I pray you will fall in love and want to be with someone. Having the ability and skills to interact with others is necessary in life. So we will learn this together. When mummy doesn’t know how to help I will get people to help me. They might be speech therapists or pychologists or teachers. We will work together for what is best for you. We just all want to help you. The same with your anxiety. Seeing you so fearful of people is hard to watch. I know your brother has been mean to you and you are so sensitive to noise that hearing people talk and shout scares you. But life is loud my darling. People are not always shouting at you (how could anyone shout at you? ), and some people just find loud music nice. Everyone is different. Some shops play loud music. I know how much it hurts your ears when I take you in these places. I am not being cruel. I am trying to help you desenseatise a little. Because sometimes we need to feel the fear and do it anyway. But I am always here for you. Trust me to help you through this. One day you will make the choice yourself what shops you go into and that will be great. But right now you would rather not leave the house and if I don’t help you now I fear for the future. Because you like things to be the same all the time. I know you wanted us to leave the park the other day when other children came to play. But life isn’t like that. You thought I didn’t love you. But it is BECAUSE I love you I made you stay a while. 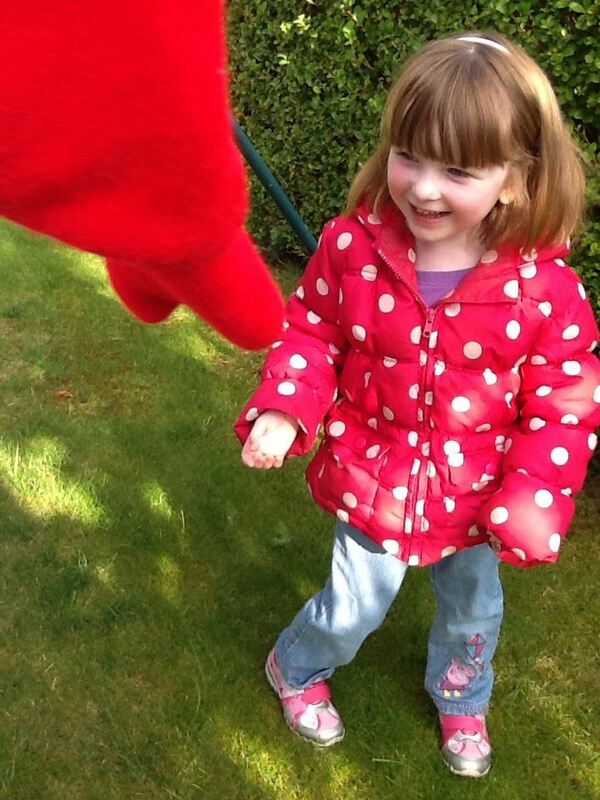 It is ok for other children to look at you, smile at you and want to play. It is ok for people to look at your brother and wonder when he flaps. One day I hope you will understand. Isaac has autism and you have autism. But I can teach you both the skills that don’t come easily. I KNOW you can do this. And I am proud of you for trying. You were mad I made you put down your game and get on the nursery bus today. Like all young children you would rather play and do what you want than have to comply with others wishes. But your autism makes even the simpliest change hard. So you cried. When I wiped away your tears you thought I would let you stay home. But love is hard. Autism is hard. But we will learn together. We will grow and learn and get through this. Mummy felt your pain and understands. But you are gaining skills you will need for the future. Can I tell you something? Hundreds of us big people don’t like having to stop what we want to do to go to work or school. But we know we have to. It’s rubbish somedays. But the game is here waiting for you and you will be home soon enough. So yes, my beautiful you have autism. You also have beautiful blue eyes, a contageous smile, a fantastic laugh and you are loved incedibly. Most importantly God says you are fearfully and wonderfully made. That doesn’t change because you have autism. It never will. My son has a new favourite book. You have probably guessed by the start of this blog that it is the famous book by Eric Carle called ‘The Very Hungry Caterpillar’. Isaac isn’t able to read yet and isn’t interested in me reading the book to him either, but he sure loves looking at the pictures…especially all the food pictures. 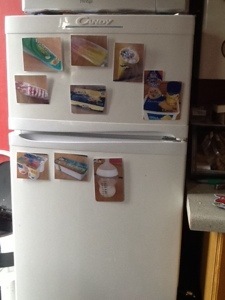 Little photographs of his favourite snacks laminated and tacked onto the place he would usually find them. No longer can he just go and help himself but, like the caterpillar who had to work hard to nibble his way through the cocoon to break free, he is going to have to work hard to give us a visual before receiving his snack reward. 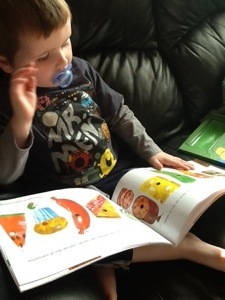 There are so many parallels between both my children and the very hungry caterpillar. I feel like they have both been hidden in a cocoon for almost 5 years. As we approach their fifth birthday they are both starting to nibble free from cocoons that have held them back. Isaac has learnt to point, recognise his favourite logo, climb and slide down a slide all on his own, hold our hand when walking for brief times, turn when his name is called, and even get his socks and shoes when we say we are ‘going car’. The list of words and phrases he understands is growing daily and although there is still no speech he is trying hard to communicate in other ways. He is sharing more and more moments with his sister too. And she is really helping him by naming what he is pointing at for him. Meanwhile Naomi is learning to relax a little more and smile more. She is walking further and talking more everyday. She is finding enjoyment in helping out at home and playing in the garden. She has mastered doing 20 piece jigsaw puzzles on her own, memorized over 30 books, eating a few more different things and enjoying spending time with her family. 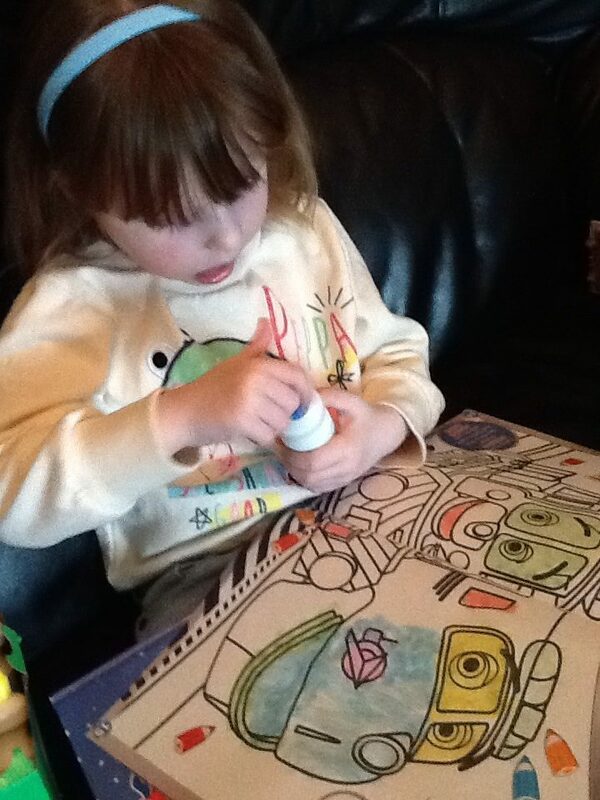 She knows her colours, numbers, shapes, can now walk up and down stairs independently and is growing in confidence. Everyday that cocoon is getting nibbled and nibbled away so she can break her way out. 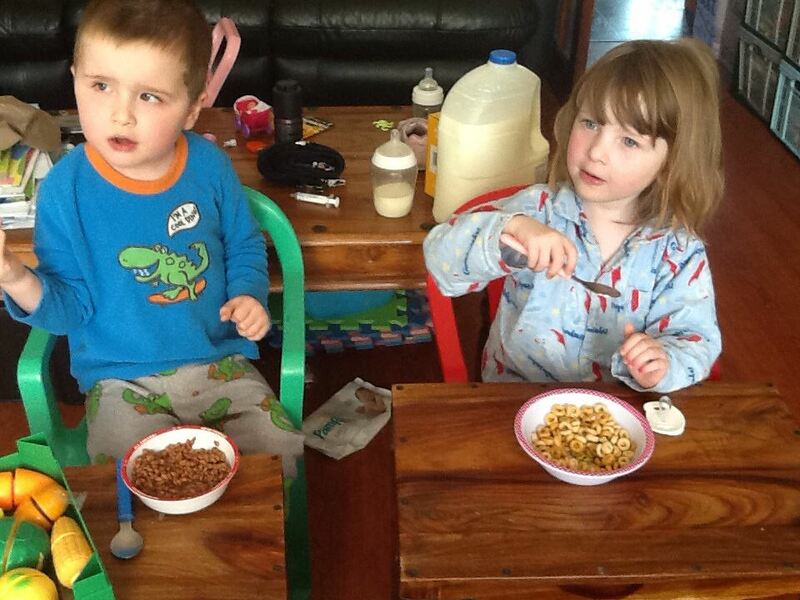 It doesn’t matter that both my babies have autism. It doesn’t matter that they both have different areas of developmental delay. 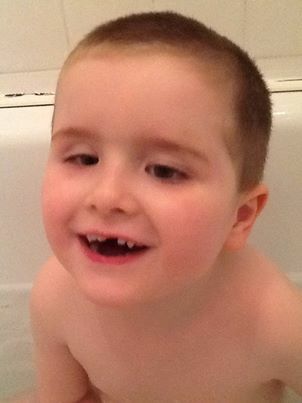 Or that Isaac has neurofibromatosis type 1. For the last five years I have been feeding them so much. The hungry caterpillar ate chocolate cake, ice-cream, pickle, cheese, salami, lollipop, cherry pie, sausage, cupcake, and watermelon all in one day (too much like Isaac!). My children have had therapy, time, prayer, patience, support, education, love and lots of professionals helping them and it is working. They are no longer little caterpillars anymore (not that they are big and fat mind you, just growing and learning so much). They have stayed inside for a long time now. It felt like Isaac was trapped in his own world for years.